Filing for bankruptcy can result in the elimination or substantial reduction of most unsecured debts, but once a debt becomes secured, it is often difficult or impossible to eliminate. There is an exception when it comes to judgment liens that have been filed against your residence. Read on to learn more about judgment lien avoidance through bankruptcy. Debt can be divided into two major categories: unsecured and secured. Describing debt as “unsecured” means that it is not collateralized by property. In other words, the lender cannot seize a piece of your property if you don’t pay. Most consumer debt is categorized as unsecured, and two of the most common forms of unsecured debt are credit card and medical debt. Debt is “secured” when it is associated with a piece of property, such as a car or home. Unsecured debt can become secured if the creditor or debt collector files a lawsuit against you based on the unpaid debt, wins that suit, and obtains a judgment lien from the court. When a judgment lien is filed against your property, it means that the creditor now has some portion of ownership over that property. You may not sell or transfer the property without first satisfying the debt, and the creditor could even execute on the lien, requiring that the property be sold and the proceeds shared with the creditor. For the most part, debt that is secured cannot be eliminated without losing the property that serves as the debt’s collateral. One exception to this rule is where a judgment lien interferes with the homestead exemption provided through bankruptcy. The Illinois homestead exemption prevents the sale of a home to satisfy creditors where the owner has less than $15,000 in equity, or $30,000 if a married couple. If a judicial lien against the home would interfere with that amount, then the lien can be “avoided,” or eliminated through bankruptcy. Let’s say you have a home worth $300,000, and have built up equity in the amount of $28,000. 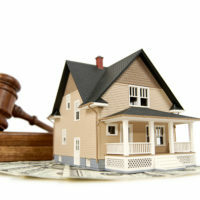 A judicial lien worth $10,000 has been filed against the $28,000 of equity you have in your home. This judicial lien could be avoided in bankruptcy, since you would be left with less than the bankruptcy-protected amount of $30,000 after payment of the lien. A skilled bankruptcy attorney can help you determine whether bankruptcy could allow you to eliminate debt while remaining in your home. If you are an Illinois resident facing mounting consumer debt and find yourself unable to keep up with payments, contact the skilled and compassionate Chicago area bankruptcy attorneys at Johnson, Westra, Broecker, Whittaker & Newitt for a consultation on your case, at 630-665-9600, with offices conveniently located in Carol Stream and Chicago.